Three solar companies are under investigation for potentially inflating costs in order to draw down more money from a stimulus-funded loan program. All three boast investors with significant ties to the Obama White House. ers renewable energy project developers cash payments in lieu of the investment tax credits (ITC),” according to the text of the statute. The companies have received hundreds of millions of dollars in federal funds to install residential solar panels. Some of those partners have notable connections to the Obama White House. SolarCity, which was recently audited by the Internal Revenue Service and went public last week, is run by billionaire Elon Musk, a prominent Obama supporter. SolarCity’s investors also have significant ties to the White House. 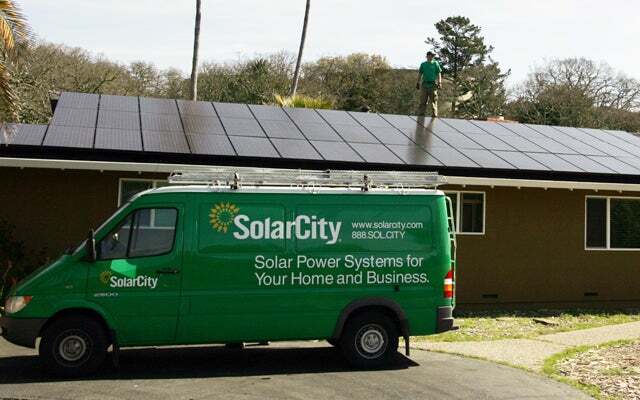 Venture capital firm Silver Lake Kraftwerk backed SolarCity with $81 million in capital. Kraftwerk, which is owned by billionaire liberal financier George Soros, employs former Assistant Secretary for Energy Efficiency Kathy Zoi, who oversaw the disbursement of more than $30 billion in green energy stimulus funds in her Department of Energy post. Zoi is reportedly on the shortlist for Energy Secretary should Steven Chu step down during Obama’s second term. Citigroup is also a major SolarCity investor. Michael Froman, a close college friend of Obama’s, managed Citi’s alternative investment portfolio until he left for a top White House post in 2009. Froman was key to the President’s 2008 election effort, connecting him with major donors in New York’s financial industry. Froman also served on Obama’s 2008 transition team. Sungevity also has major ties to the Obama Administration. Tom Steyer, the “main financial backer” of Sungevity investor Greener Capital and a major Obama donor, is an aggressive activist for more federal environmental regulation and taxpayer backing for green energy companies. Steyer “said he had spent time consulting with the Obama administration after last November’s election,” according to The New York Times. “President Obama knows that advanced energy is America’s future,” Steyer said in a speech at this year’s Democratic National Convention. “And my bet, as a businessman, is that he’s exactly right.” That “bet” has paid off for Steyer in taxpayer support for a major Greener investment.